We offer a two year training program in Gestalt Equine Psychotherapy (GEP)™. You will learn the essentials of Gestalt therapy and the essentials of equine assisted psychotherapy. ​We are a unique training program that combines these two naturally compatible forms of growth and healing. The cost of the program is $950 per intensive. We will be meeting Wednesday - Saturday, from 9 am to 5 pm daily. A light lunch and snacks will be included. The core of the program consists of 8 training intensives. Each of these intensives are 4 days long starting on Wednesday and going through Saturday. You are required to complete 8 intensives. If you completed all 8 consecutively, it would take you two years to complete our program. However, our program is designed so you can take as long as you need to complete 8 intensives. After each intensive, you will be required to complete a 1-2 page Integration Paper to help integrate the information learned during the training, both on a personal and professional level. In addition to the 8 intensives you will be asked to work on your horse knowledge and riding ability to be able to pass the Equine Assessment that we have developed. You will be required to meet with Duey Freeman and/or Joan Rieger for a minimum of 3 times over the 8 intensives to assess your equine skills. You will need to meet once at the beginning of the program to get a baseline of your skills, once in the middle of the program to make sure you are on track, and before you graduate for your final assessment. Please contact Duey and/or Joan directly to set up your equine assessment. We are also asking that you complete 16 hours of supervision. The purpose of this is to help with any questions you may have. We have found in the past that this individual connection is very helpful in your growth as a therapist. Supervision sessions are at an additional cost of $95/hour. We will also ask you to do readings and integrate these into the work you do in the intensives. You will be asked to complete a Gestalt theory assessment prior to graduation. Final Project - By the time you graduate, you will be asked to complete a final project on a topic of your choice and present it to the group. The final project is intended to help you deepen this work in an area of interest to you, and also to help you take your work out into the world. We will be providing a great deal of experiential work directly with the horses in this program. About 75% of this program will be hands on, both with horses and working with each other in an experiential way. 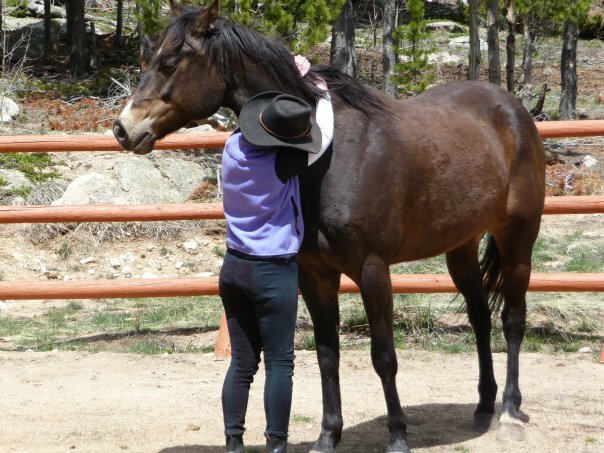 Many equine programs do not include any, or have very little expectation that you will become a "horse" person. We will hold that you become both a "horse" person and a Gestalt therapist. We want you to be able to leave this program feeling that you have a great deal to offer and that you can work in your desired area with a solid level of competence. To be able to do this we are including extensive training in Gestalt, Emotional Developmental Theory, Horses and Horsemanship. We will also expect that you do your own process as a person, horse person, and therapist in relationship to yourself and other.